Cut the paper in half according to the step #2. Let's work on one of them. 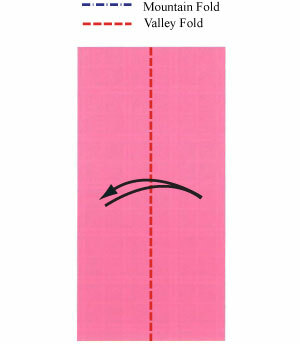 Valley-fold in half vertically and then unfold according to the step #3. 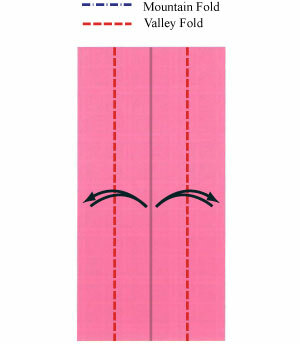 Prepare to apply a vertical "gate-fold" and then unfold.